In the last few years the California has fallen victim to some of the worst wildfires in history. According to environmental science and climate policy experts Dana Nucitelli and Jerry Hinkle, climate change is likely to blame. 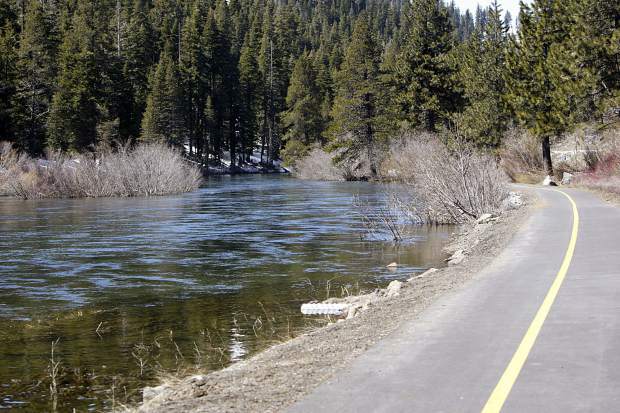 The two gave a presentation at Truckee Town Hall Tuesday about the warming effects of climate change and how it contributes to natural disasters. He said that if emissions are significantly reduced over the next several decades then the effects of climate change will stabilize but not disappear completely. “There’s not much time to waste here,” said Nucitelli, an environmental scientist who has published multiple peer-reviewed studies related to climate change. According to Nucitelli the Camp Fire that devastated the town of Paradise was the costliest weather disaster in the world in 2018, followed by Hurricane Michael and Hurricane Florence. Nucitelli said the cost of inaction against climate change will be even greater than the costs of continually cleaning up after natural disasters such as wildfires. According to the National Climate Assessment report published in November “climate change has led to an increase in the area burnt by wildfires in the western United States.” The report estimated that the area burnt by wildfires from 1984 to 2015 was twice what would’ve burned had climate change not occurred. It added that the area burned from 1916 to 2013 was more closely related to climate factors than to fire suppression or forest management. In California, droughts have caused the soil to dry up even faster. A study on California oak trees showed 2016 was the most intense drought year in 1,000 years. 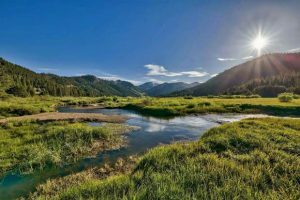 Nucitelli said scientists estimated that the record high temperatures amplified the drought by about 25 percent. 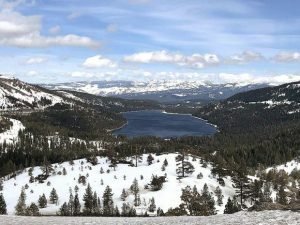 According to studies cited by Nucitelli, 20 to 25 percent of the Sierra snowpack is lost every time the global average temperature increases by 1 degree Celsius. According to a temperature analysis by NASA’s Goddard Institute for Space Studies, the average global temperature on the planet has increased by about 0.8 Celsius since 1880. “That’s the urgency of getting global warming under control because, if not, the Sierra snowpack is going to be disappearing really fast,” said Nucitelli. He said in a normal year around one million trees will die across the nation. In 2015 however, that number rose to 20 million, with 50 million tree deaths in 2016. In the past two years that number has fallen back to 20 million. “One of the big factors is the drought because it puts a lot of stress on trees,” he said. He added that tree death can also be linked to bark beetles, which typically die off in the winter due to colder temperatures. However, with warmer winters the beetles can stick around longer. Nucitelli said more dead trees means more wildfire fuel. Proposed legislation could help mitigate the effects of climate change, according to Hinkle. The Energy Innovation and Carbon Dividend Act will impose a fee on fossil fuels including crude oil, natural gas and coal at their source. Hinkle said the bill would give a financial incentive to reduce emissions and move toward technology that produce less carbon. The fees collected would be deposited into a Carbon Dividend Trust Fund and be returned as monthly dividend payments to U.S. citizens. “It doesn’t grow the government, it just charges for polluting and returns all the funds,” said Hinkle.